Wolves and Nigeria goalkeeper Carl Ikeme is to begin chemotherapy after being diagnosed with acute leukaemia. The Championship club say Ikeme, 31, returned "abnormal blood tests" during pre-season testing and further checks confirmed the diagnosis. Ikeme has been with Wolves for his entire career, making more than 200 appearances for Wanderers. Thirty-three of those came last season, having previously been in the team that won the League One title in 2013-14. "It would be an understatement to say that everyone at Wolves has been shocked and saddened to hear the news of Carl's diagnosis," said Wolves managing director Laurie Dalrymple. "That relates to both players and staff as Carl has been at the club for a very long time and remains such an integral personality within the group. "At the same time, we all know what a fighter and a competitor Carl is, and I have no doubt that he will take all of those attributes into this battle. "Similarly, its goes without saying that Carl and his family will receive the full love and support that we at Wolves can provide - we are all with him every single step of the way towards a full recovery." 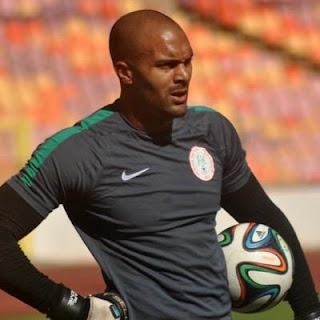 Football clubs, players and team-mates of Ikeme, past and present, have been offering their support to the goalkeeper on social media. Striker Nouha Dicko: "No words can express how I feel right now. I love you Carl. We are all with you, you are a strong man, a strong wolf. Stay strong bro." Winger Jordan Graham: "Kemes - you're like a second father to me. The love I have for you I can't even put into words. Stay strong we are ALL with you bro!" Midfielder Dave Edwards: "On and off the pitch you are a role model to so many Carl Ikeme...we are all by you and your family's side right now and we all love you!" Millwall midfielder Jed Wallace: "One of the most genuine people you could wish to meet. Role model on and off the pitch. Stay strong big fella." Norwich winger Matt Jarvis: "Stay strong big man! Wishing you my best!" Bolton striker Adam Le Fondre: "Absolutely gutted to hear - one of football's top guys! My thoughts are with you and your family!!" Former Wolves and England midfielder Geoff Thomas was diagnosed with leukaemia in 2003 and, after successfully beating the disease, has taken part in several fundraising efforts to raise awareness and fund research. His latest challenge - cycling the Tour de France course one day ahead of the elite riders in aid of Cure Leukaemia - is ongoing. "I really contemplated getting off. Thankfully I didn't. Then I was inundated with messages about Carl's illness and it just really hit me. "It took me back to when I was diagnosed. I know exactly what he's going through, it's a painful period over the next few weeks getting all the information. I just wish him and his family well."